What fabulous cards to show off the Bokeh technique to perfection. 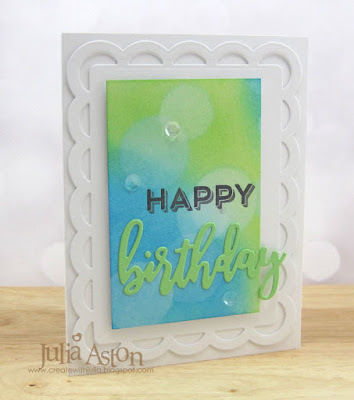 Both cards are so pretty and love the colours you've used for the backgrounds. Always good to get the two cards out of the one larger piece of card. Looking forward to seeing your card on the 4th with the new challenge too x. Beautiful bokeh effect in lovely colours! Nice design to let the bokeh panel take centre stage! 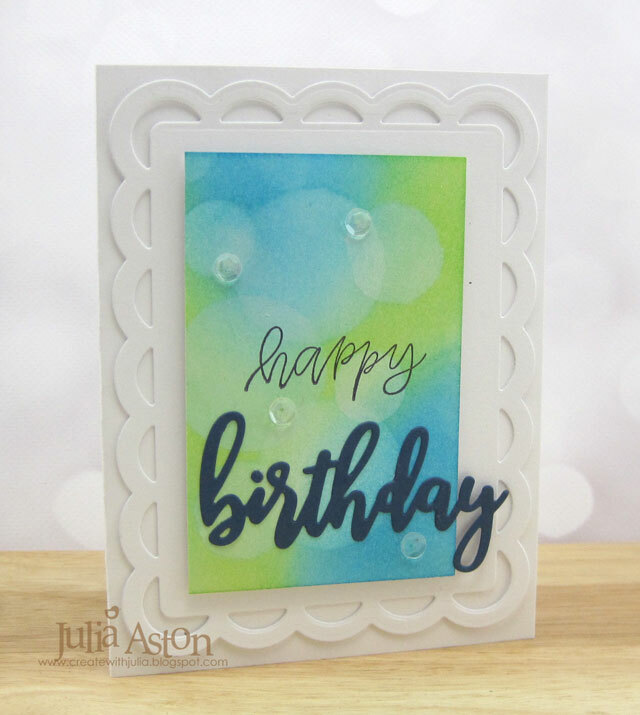 What a refreshing color combo, Julia! It's perfect for the new year. I love your Bokeh effect! There's something happy, hopeful, and fresh about it. I can't believe this is your first try. You've already mastered the technique. And it's so interesting to see a variation, just changing the sentiment font and color. Love both of them. 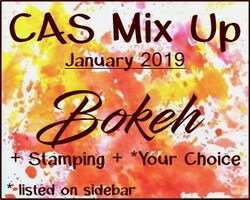 We miss you at CAS Mix Up and I'm so glad you are joining in this month, Julia! Your Bokeh background is so pretty! Love the depth of your white circles and the bold birthday sentiment all framed in scallops! Thanks so much for sharing this with us at CAS Mix Up! what a pretty card featuring the bokeh...love the look. Already miss you. You did a great first time Bokeh, Julia. Love this colour palette, both are beautiful.